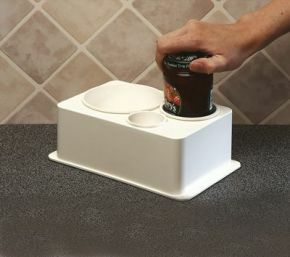 Spillnot Jar and Bottle Holder Provides a Firm Grip. The Spillnot is well made and fulfils its function well. I was able to use it successfully and easily.